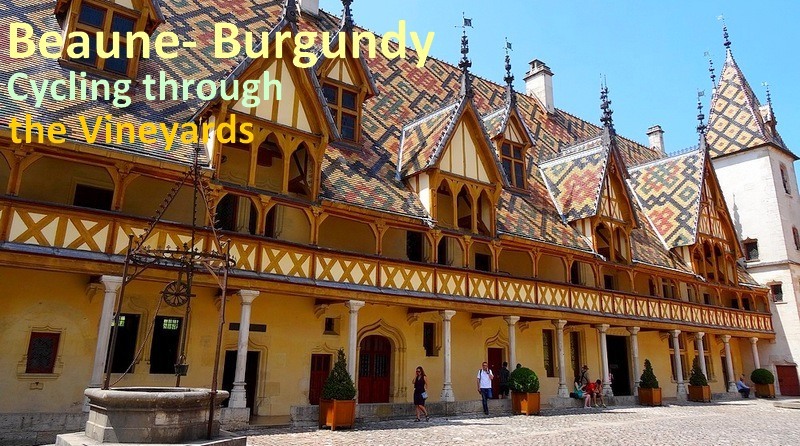 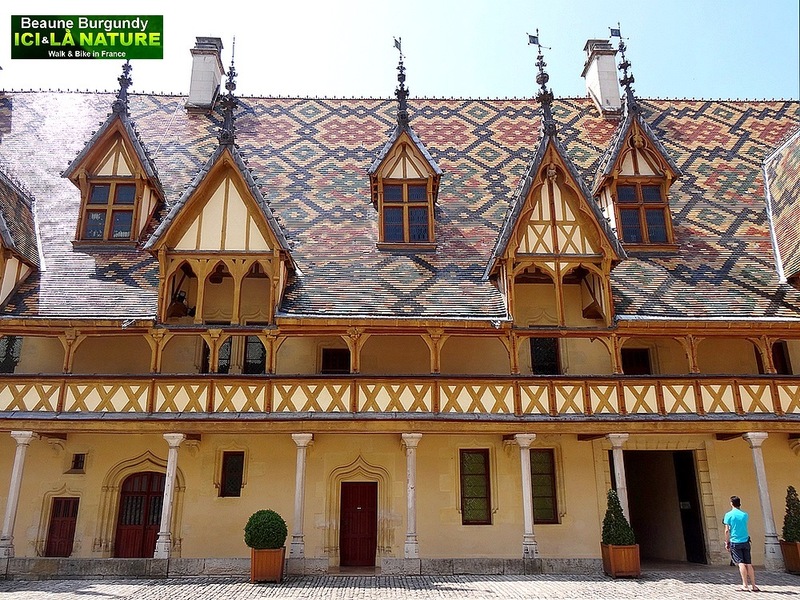 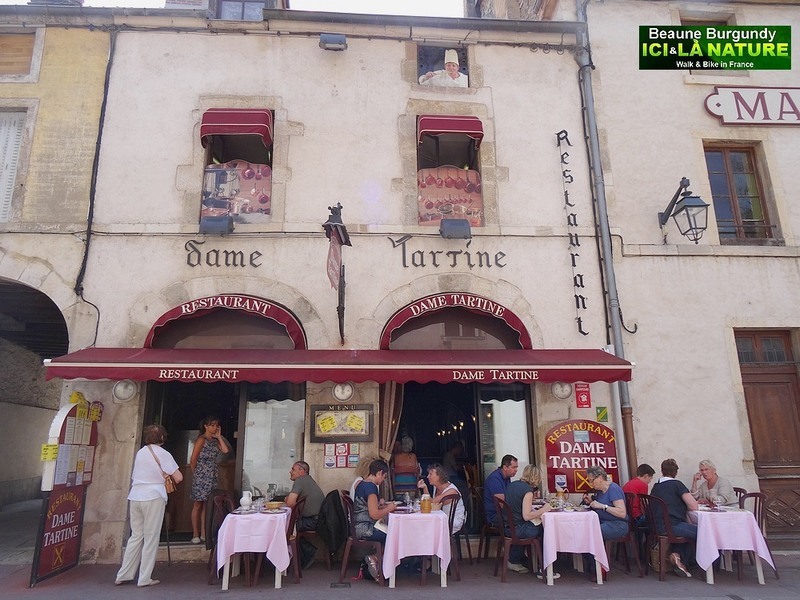 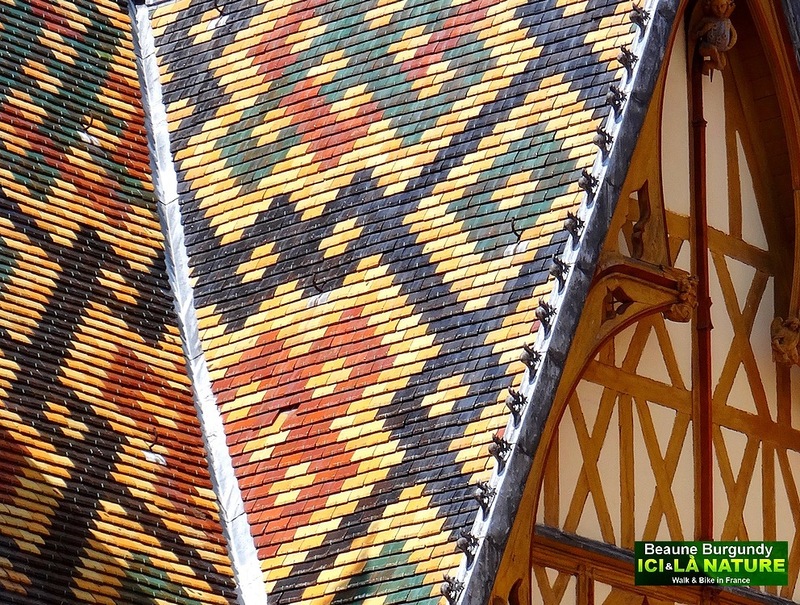 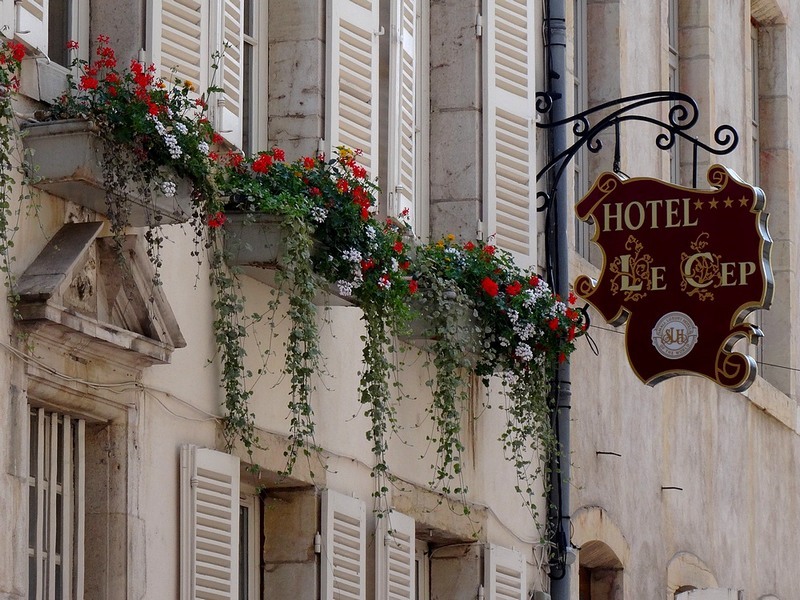 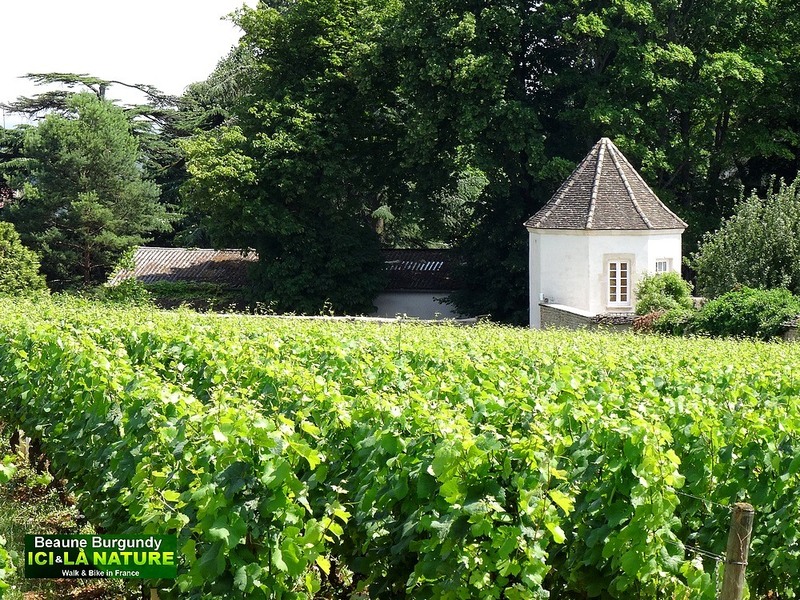 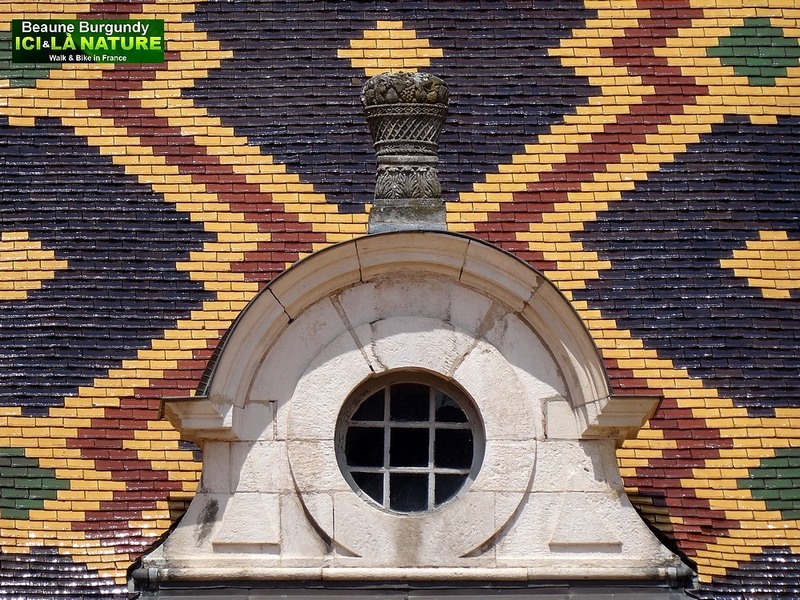 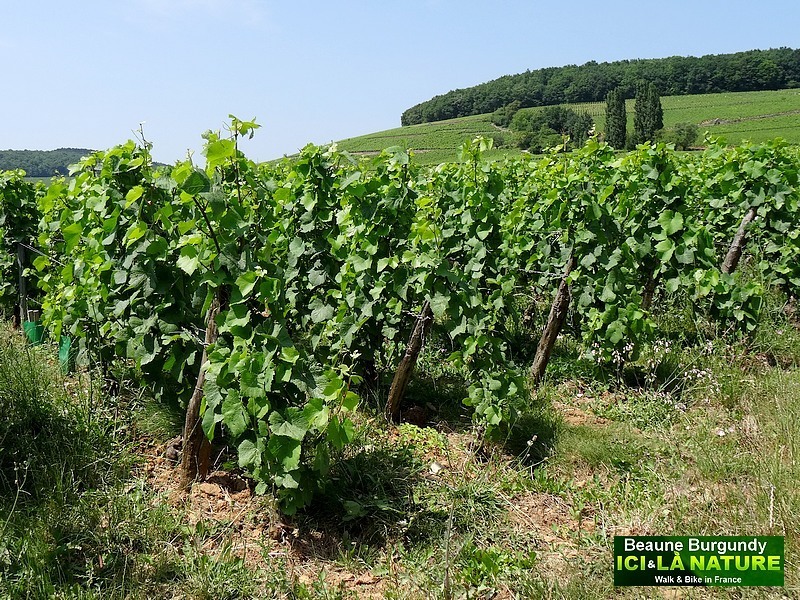 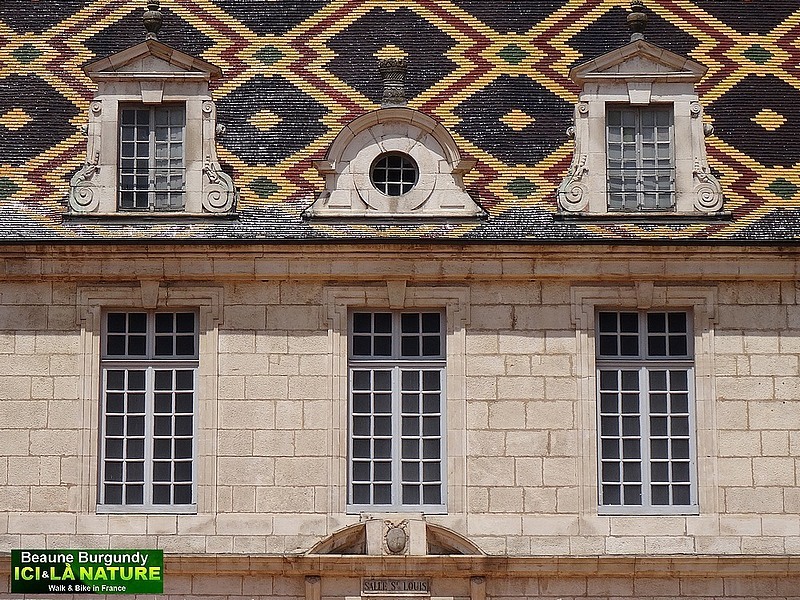 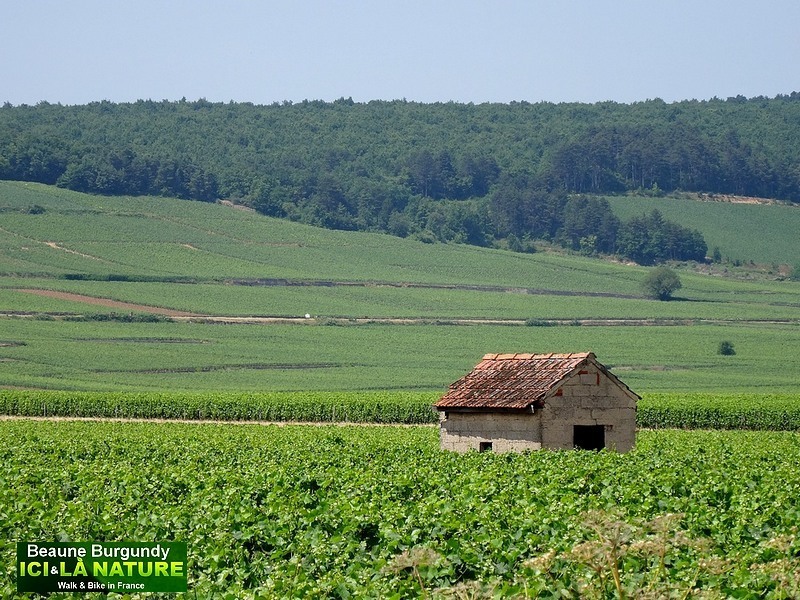 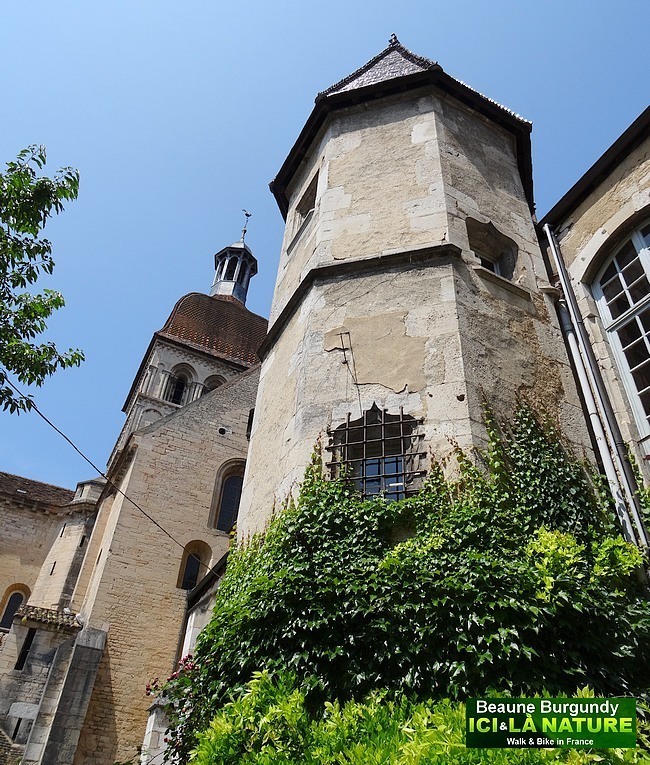 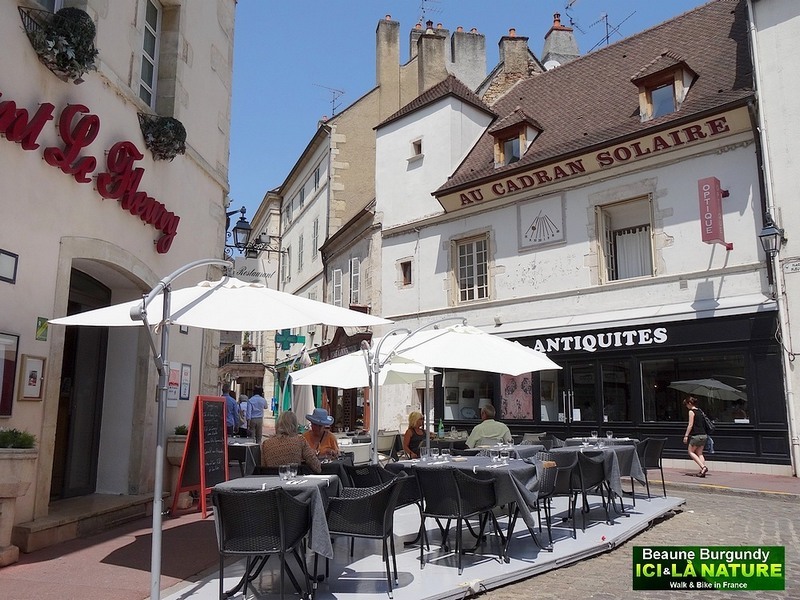 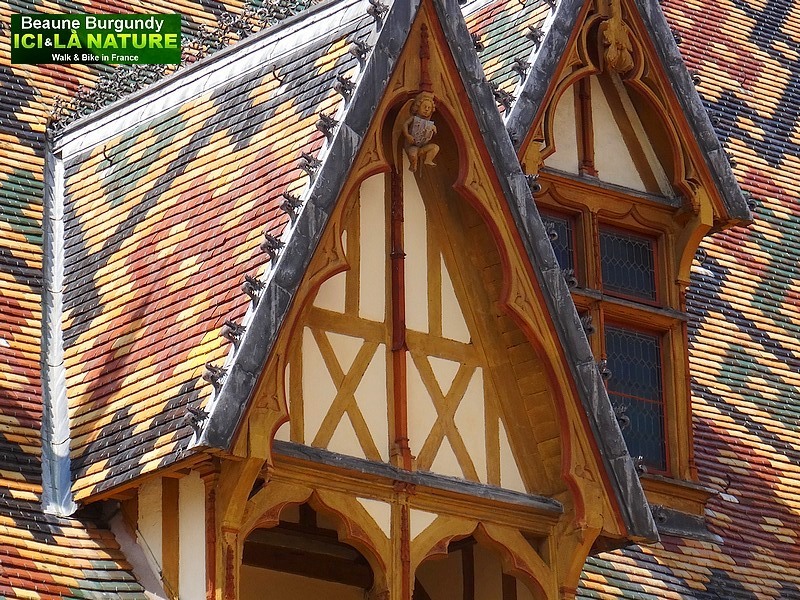 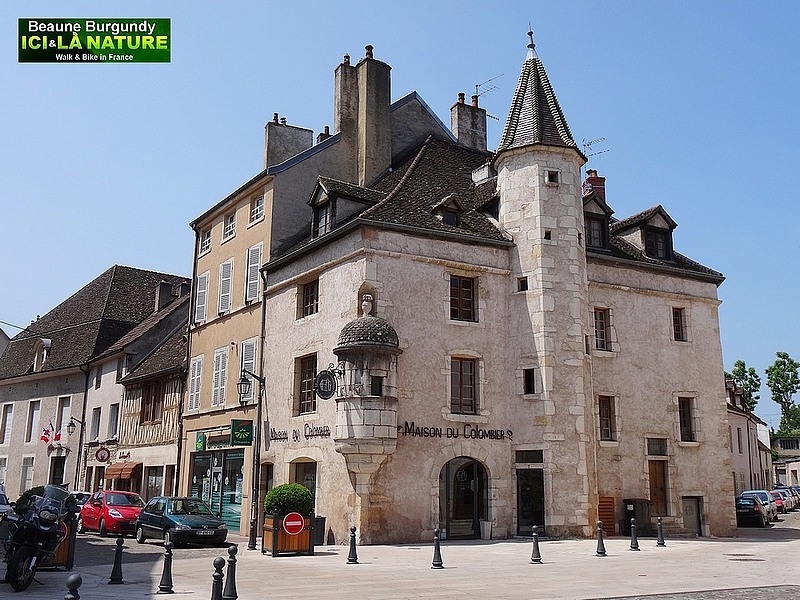 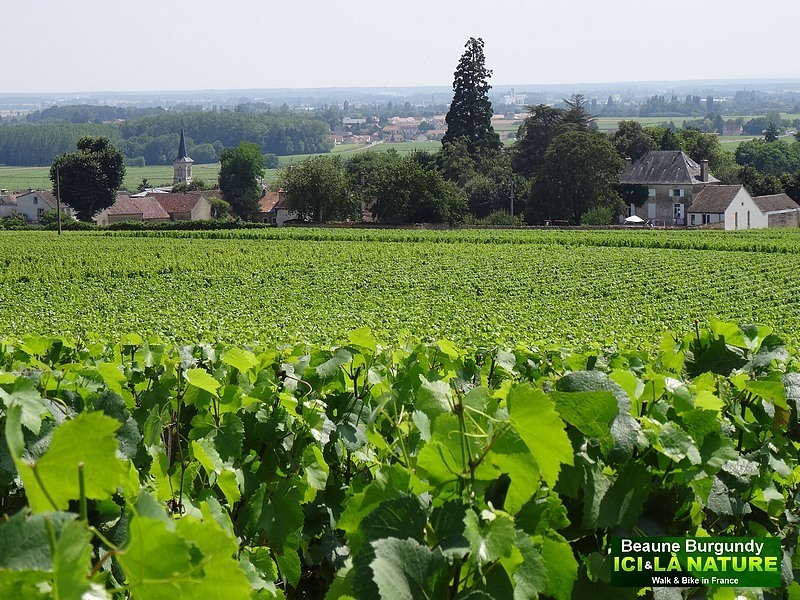 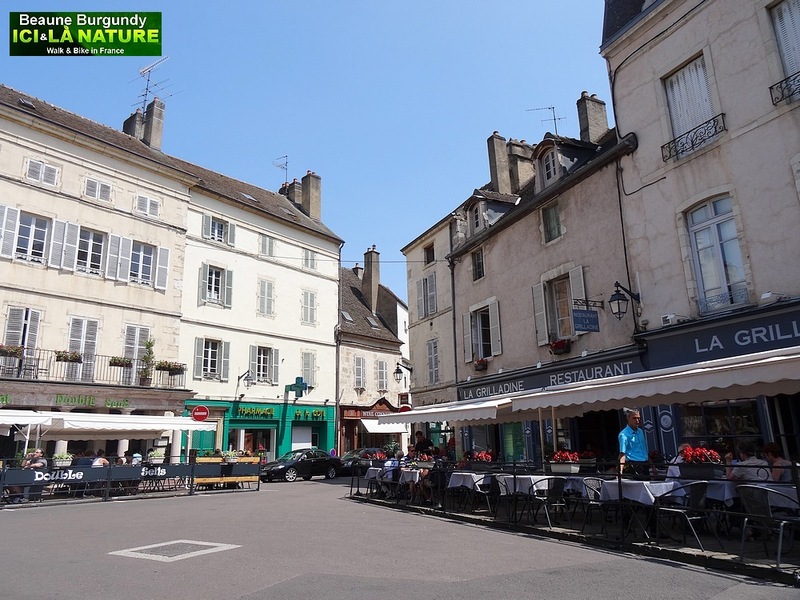 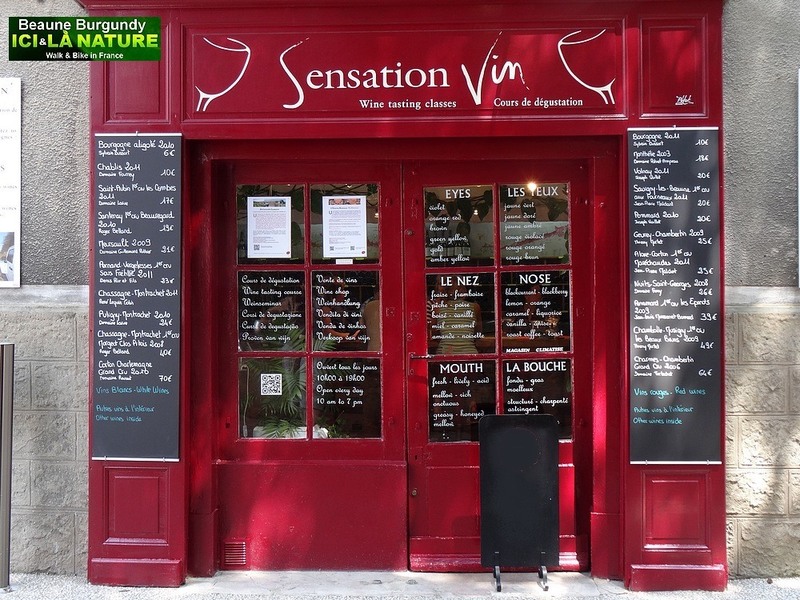 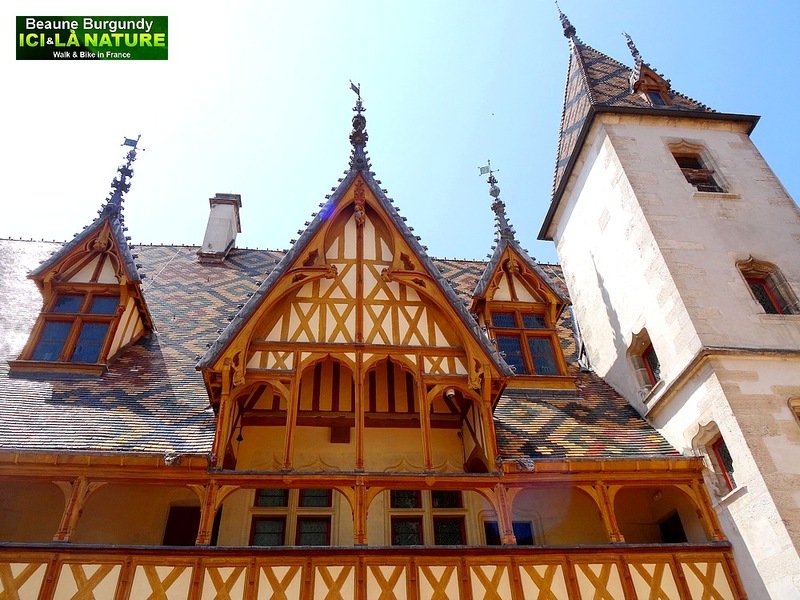 France – Burgundy : Beaune , Cycling through the Vineyards – 30 photos. 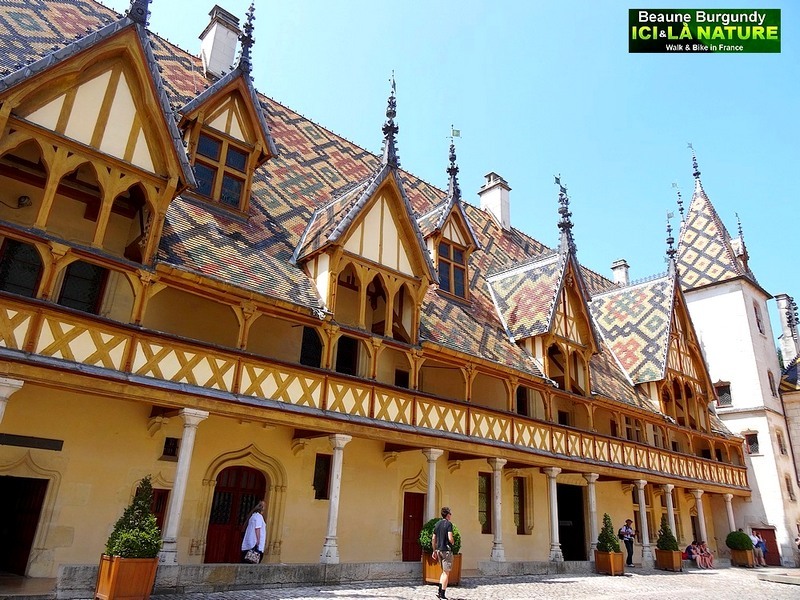 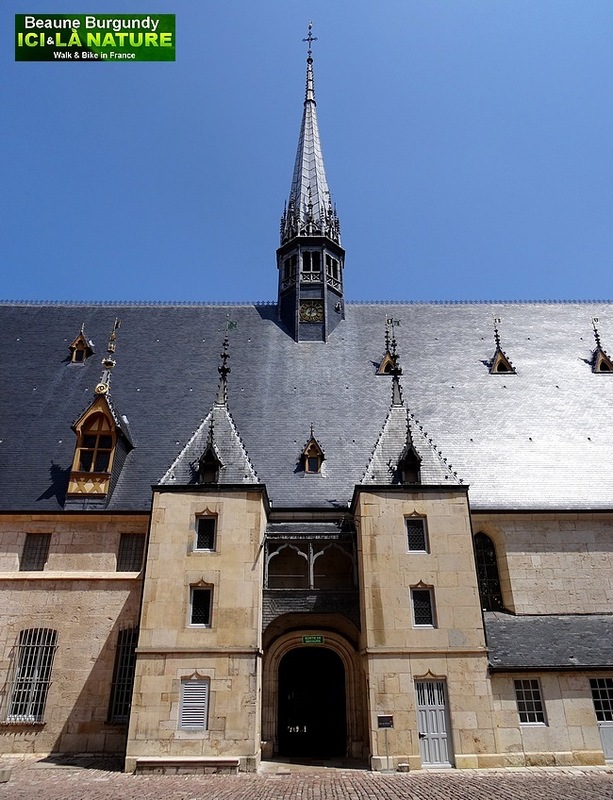 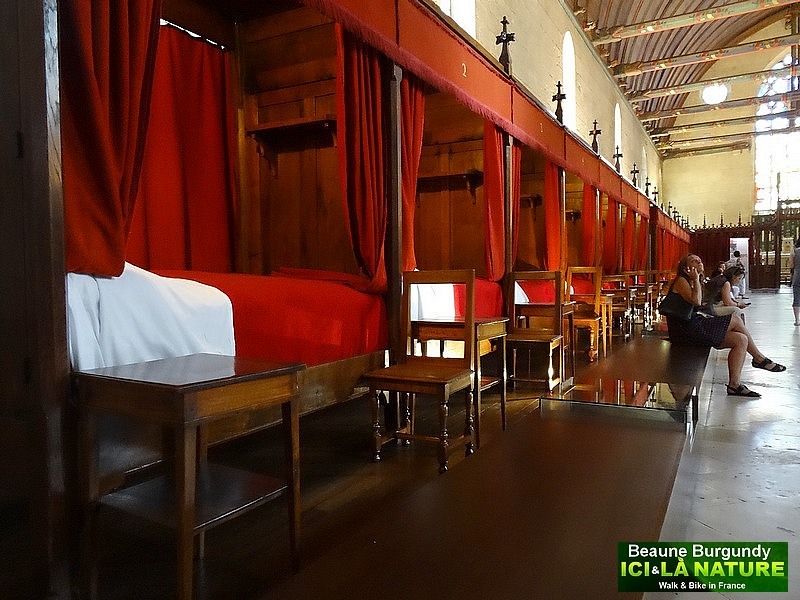 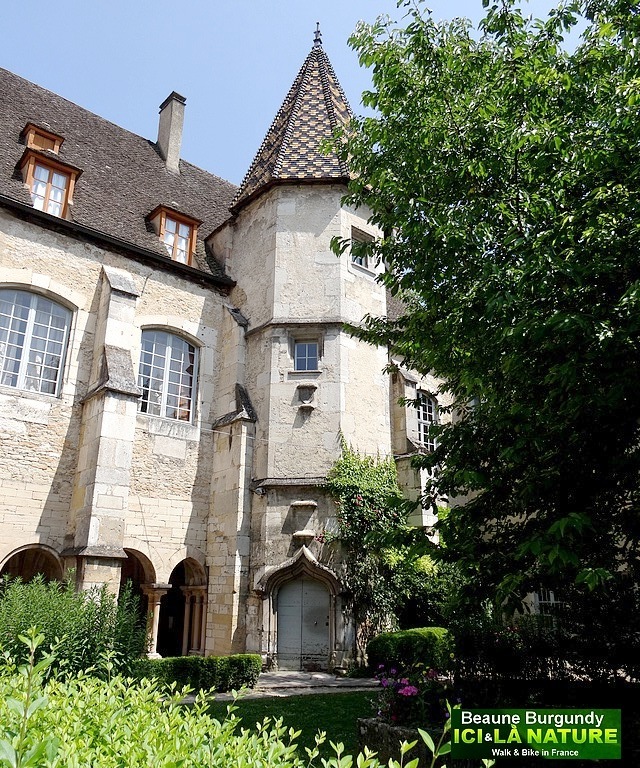 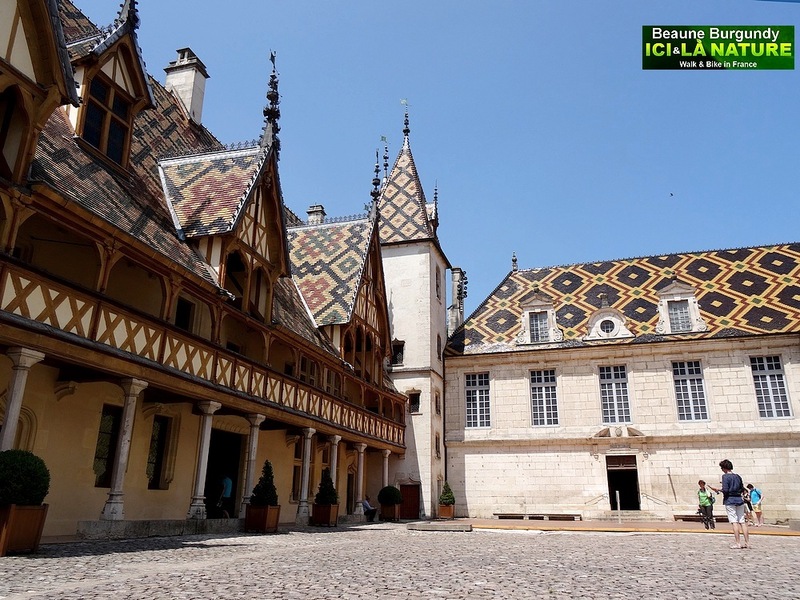 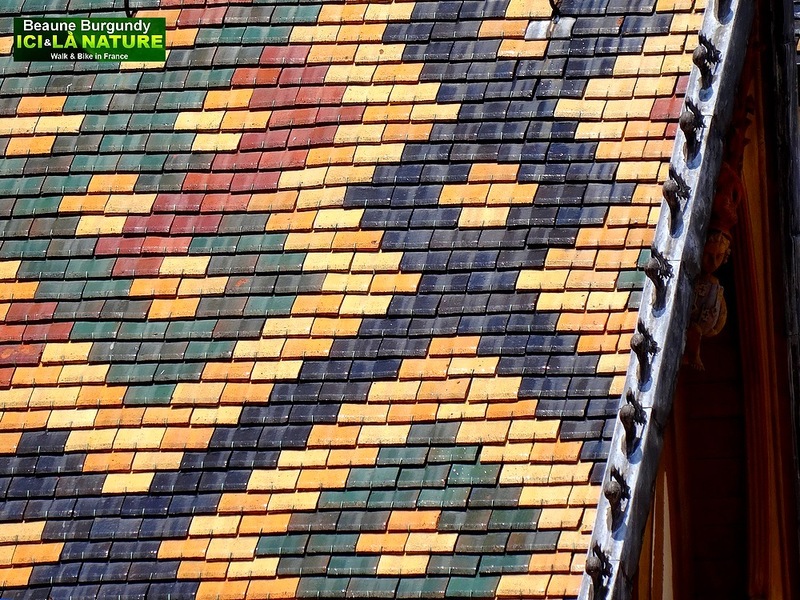 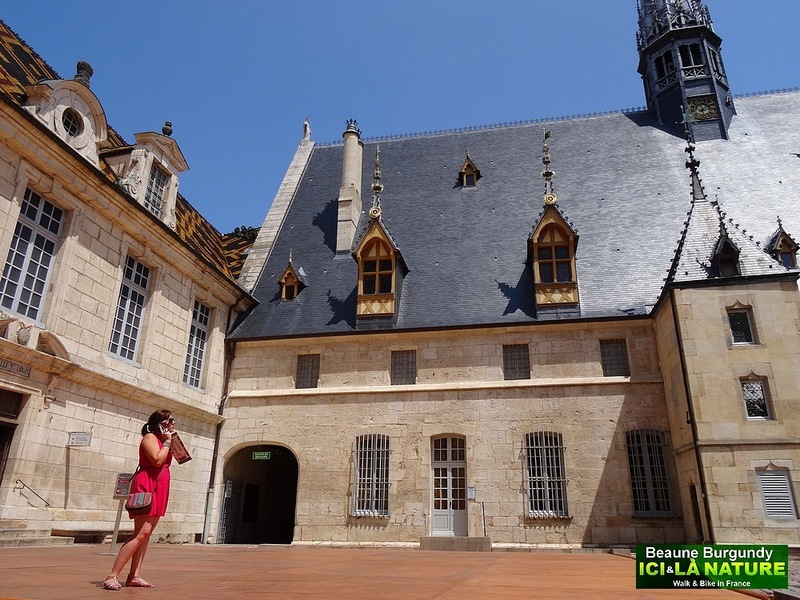 The Hospices de Beaune consists of a pair of two-storied buildings arranged around a stone courtyard. 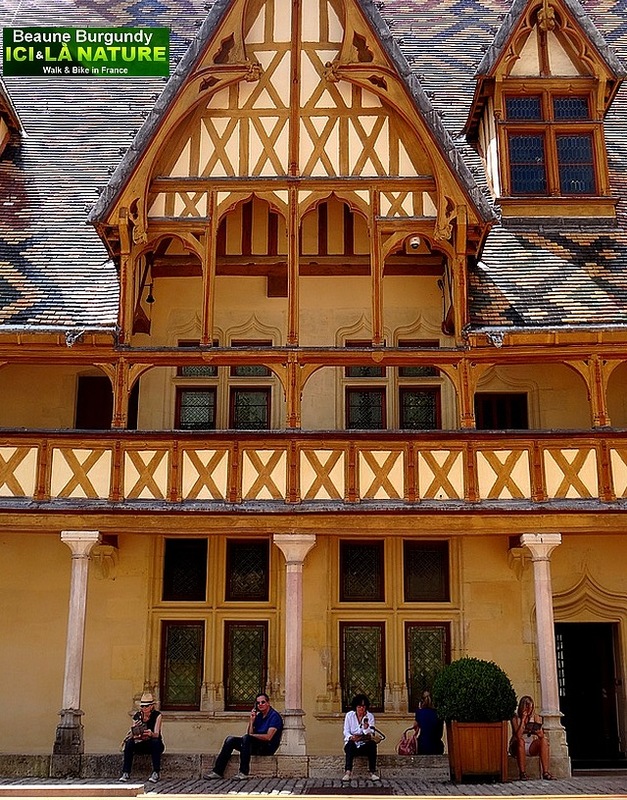 The building wings are well-preserved today; they contain half-timber galleries and ornate rooftops with dormer windows. 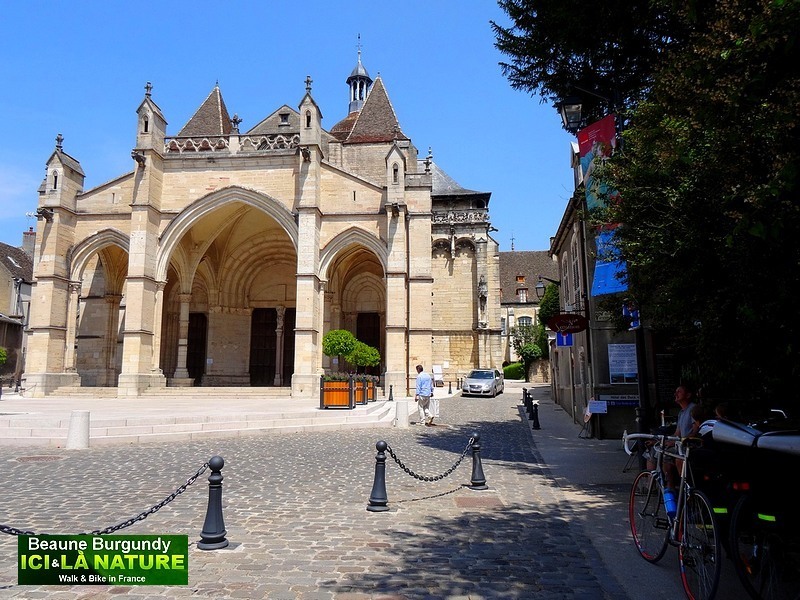 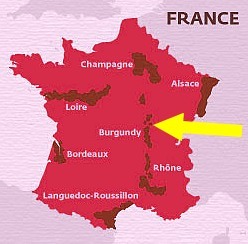 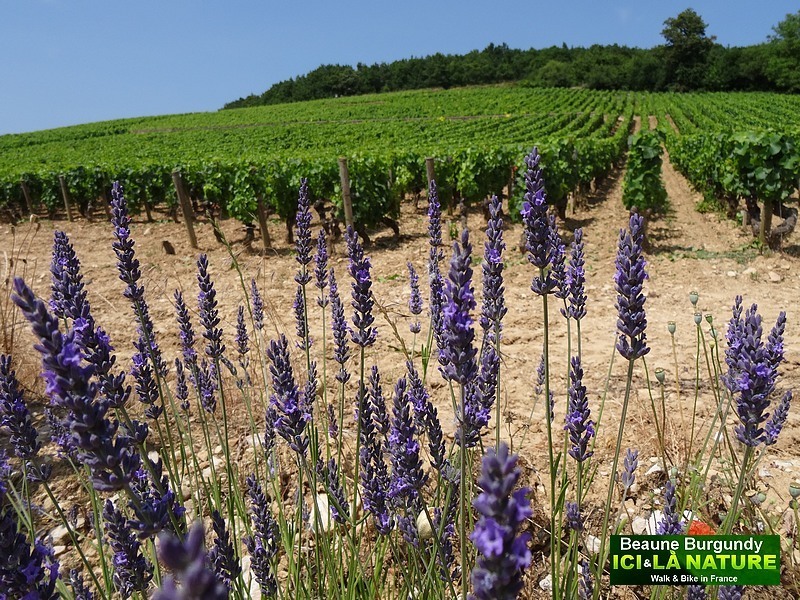 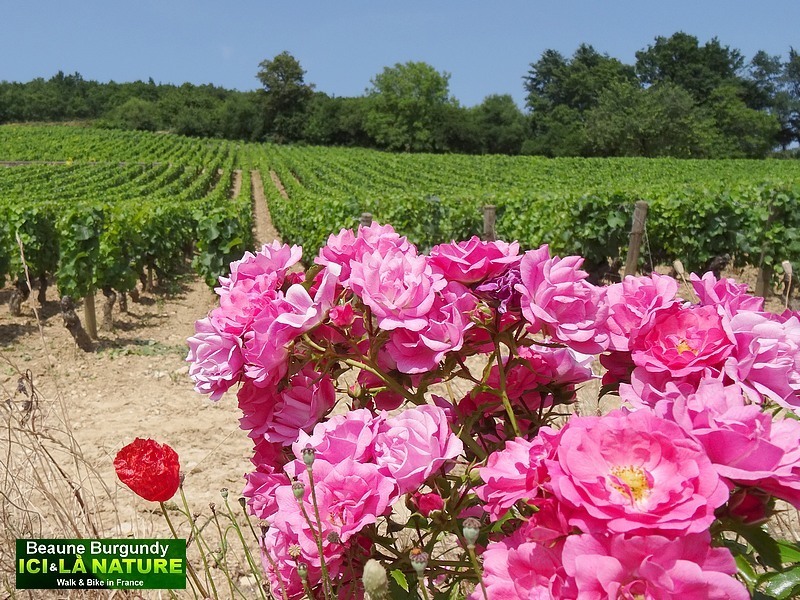 France – Burgundy : Cycling through the Vineyards. 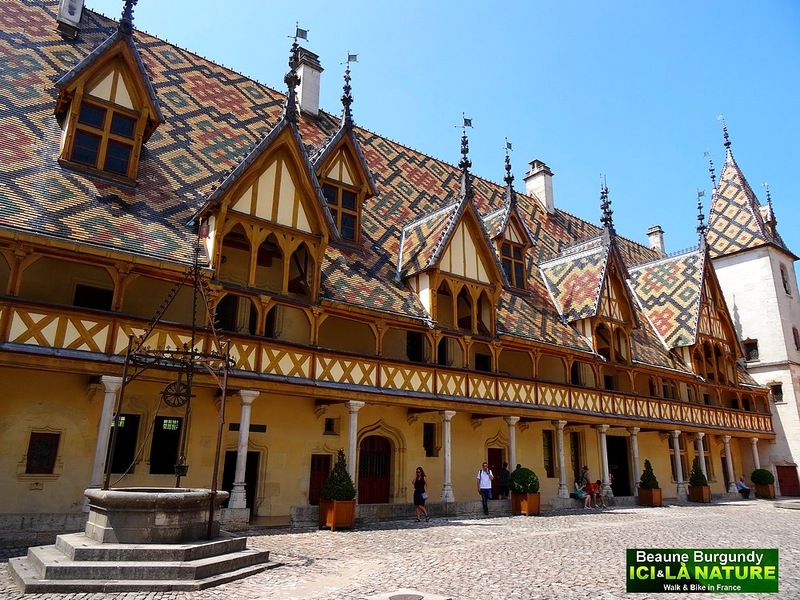 Beaune is a walled town at the center of the Burgundy. 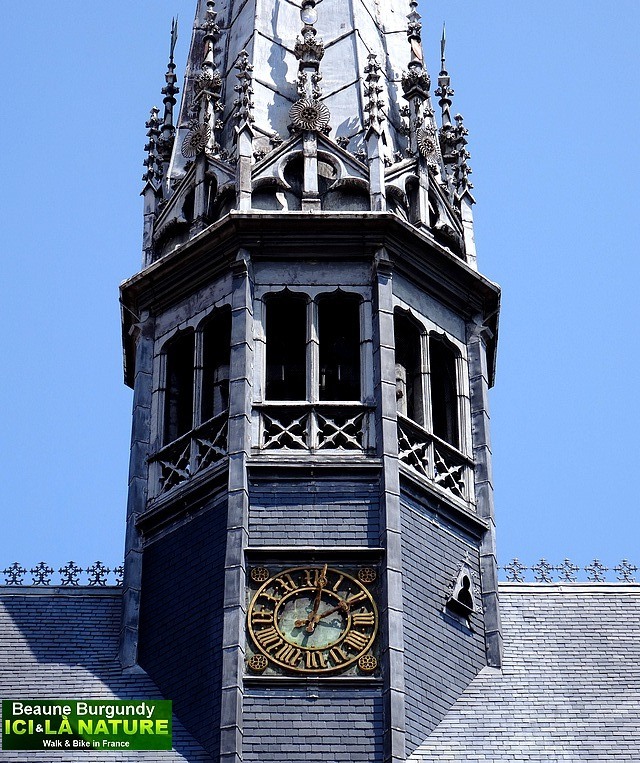 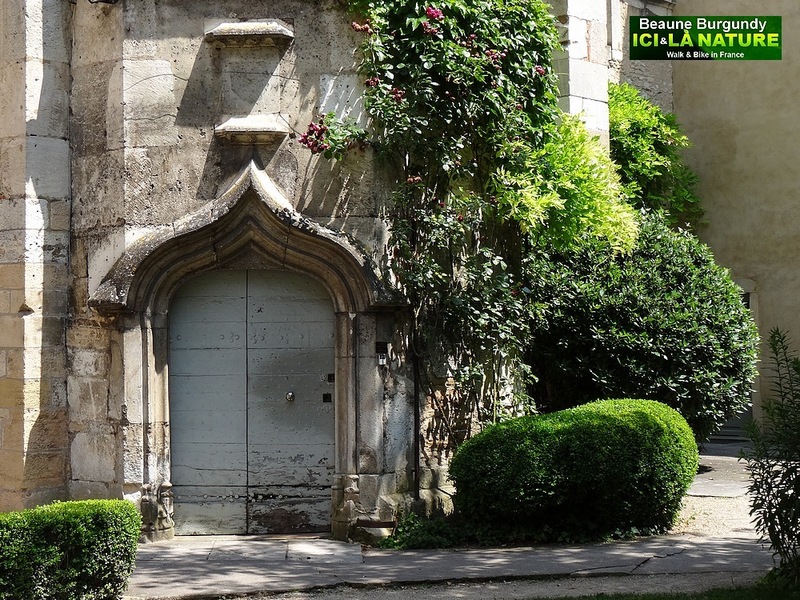 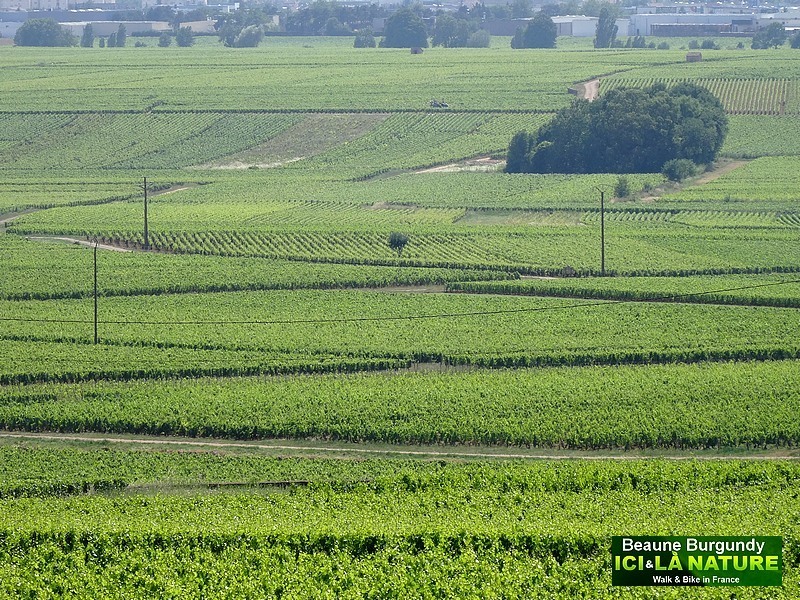 This is a winemaking region surrounded by the Côte d’Or vineyards, the cobbled town is renowned for an annual wine auction held at the Hôtel-Dieu.